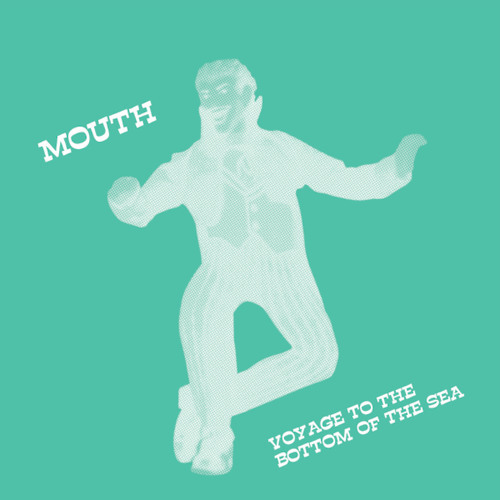 Order here: http://www.juno.co.uk/products/mouth-voyage-to-the-bottom-of-the/598028-01/ Emotional Rescue starts 2016 digging deep in to the early 80s Bristol post punk scene of Pig Pag, the Wild Bunch and the Dug Out club. A short lived project of just 3 releases, Mouth trail-blazed leftfield percussive jams in the rich vain of Liquid Liquid and ESG but in their own jazz-infused way. Emotional Rescue starts 2016 digging deep in to the early 80s Bristol post punk scene of Pig Pag, the Wild Bunch and the Dug Out club. A short lived project of just 3 releases, Mouth trail-blazed leftfield percussive jams in the rich vain of Liquid Liquid and ESG but in their own jazz-infused way. Emotional Rescue starts 2016 digging deep in to the early 80s Bristol post punk scene of Pig Pag, the Wild Bunch and the Dug Out club. A short lived project of just 3 releases, Mouth trail-blazed leftfield percussive jams in the rich vain of Liquid Liquid and ESG but in their own jazz-infused way. Centered round the cultural melting post of the St Paul’s district, it’s pubs, clubs and blues parties threw together young and old to the sounds of dub, funk, jazz and soul plus the spark lit by punk rock and new wave and spawned music that still resonates today. Consisting of a floating line up based around main members Rob Merrill and Andy Guy, alumina included a young Nellie Hooper before he would go on to be a founding member of the Wild Bunch and on to produce the likes of Bjork, U2 and Madonna. But who cares about them? This is all about hard tribal drumming, mixing guitar, trumpet, shouted vocals and effects, all thrown in the mix that was inspired as much by avant-jazz than punk’s do it yourself attitude. Here then, on one EP are their complete recordings, including as the title cut, their best and deepest, Voyage To The Bottom Of The Sea. Featured on a compilation LP from the legendary Y Records, its bottom heavy dub sound is augmented by female and toasted vocals riding atop a heavy stepper style riddim. This is On-U territory for bass heads. Following is an increasingly dizzy array of percussion jams - Acab (Part 2) is all skips, snare and trumpets, while the versions of Take Your Coat Off offer skat vocal and tom interplay, before the finale busts out the rockabilly influences in full effect with jagged guitar, skipping hats meets double bass. Dub tribal punks to cherish and discover. Users who like B5. Ooh? Users who reposted B5. Ooh? More tracks like B5. Ooh?